Congratulations on making the decision to change to organic makeup and skin care products. By now you have probably already learned about the potential dangers with the myriad of chemicals, preservatives, and synthetic ingredients found in many cosmetics. You've decided that you don't want to sacrifice your health in the pursuit of beauty and that's a very wise decision indeed! All that's left is replacing your regular favorites with top rated organic makeup that performs just as well, without the ingredients you wish to avoid. Non Toxic Makeup Lasts Forever, Right? Are Healthy Cosmetics Worth the Price? To help you begin your journey, we'll provide our no-nonsense, unbiased organic makeup reviews. You will learn about top organic makeup brands based on sales and natural organic makeup reviews so you can make the transition easily. We'll cover all of the products you will need including lipstick, foundation, moisturizer, face wash, makeup brushes, eye makeup remover, Vitamin C serum, and SLS-free shampoo. We also think it's important to learn about the best natural makeup brands as well. The companies on our list aren't peddling natural looking products - they are all committed to using the most natural ingredients in their cosmetics. Lastly, you will find a buying guide that will help you determine how to buy products and a few quick tips on how to use them properly. There are many different products that you use most every day that are counterproductive at best and hazardous at worst. It can perpetuate an ever increasing need for more products. For example, if the makeup dries your skin, now you need more moisturizers, but when those in turn block pores leading to acne, then you need another product for that. If every product you use is natural, organic, and safe, you may actually be able to reduce how many products you need and thus save your budget. There are two problems with unsafe ingredients in lipstick. The first is that they can be harsh for your lips, irritating them and making them dry. The second is more ominous. Since over the course of the day, much of your lipstick is ingested those ingredients actually can affect much more than your lips over time. This is particularly true if you reapply your lipstick often throughout the day. Natural, organic lipstick is every bit as effective to use offering great, lasting coverage and a wide array of shades. Customers often report that they thought natural lipstick looked and felt better too. Whether you prefer liquid foundation, powdered or cake, you can easily find an organic foundation for your skin type, even combination skin. If you have oily skin you will be exceptionally thrilled because it will not exacerbate your oily condition like most other foundations do. For the most part, the human body does not react well to substances it does not recognize. Putting chemicals on your skin in any form can lead to a response to attack the offending material. In many cases, this means secreting oils. It is easy to see then why non-organic foundation can make your oily skin worse. To be honest, moisturizer may not be as necessary once you make the change to the best natural makeup. You may only experience dry conditions during winter months when heating strips your home of moisture. 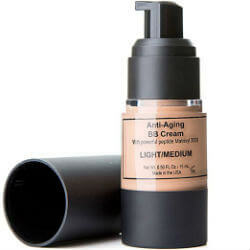 Of course, you can still use a quality organic moisturizer to combat the effects of aging. One of the biggest challenges when using a non-organic moisturizer is providing hydration without creating or exacerbating oily skin. That is not a problem with natural, organic moisturizers. They are ideal for oily skin as well as other types. In fact, if you have combination skin they are absolutely perfect. Just because you use natural, organic makeup doesn’t mean you can leave it on and sleep in it. It is still better to remove it by using a quality face wash. However, you don’t want to undo all the good you’ve accomplished by using a bunch of chemicals to do it. A natural face wash will help you avoid acne and even help with clearing any you may have already. It just does it in a more gentle way than other products so that your skin feels clean, hydrated, invigorated, and natural. Also, since most do not contain alcohol you won’t end up with stinging eyes. It isn’t just important to consider what you put on your face. It is also important to consider how you put those products on your face. The use of animal hair for makeup brushes is sadly often thought of as a superior option. 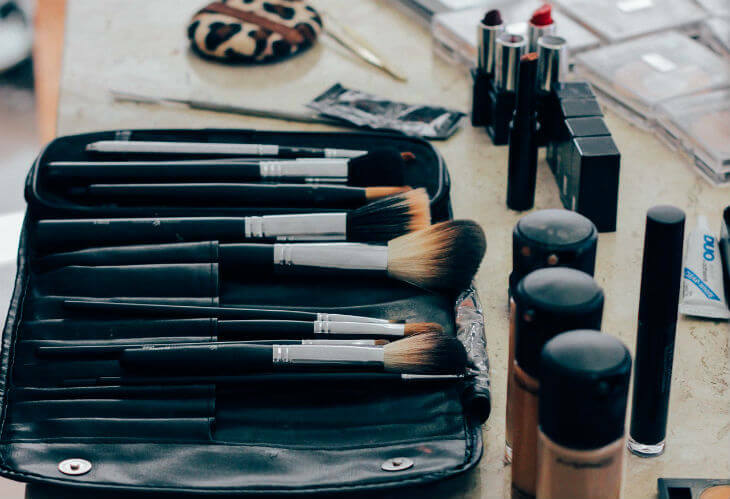 If you are concerned about animal welfare, however, you can just as easily find cruelty-free makeup brushes that even outperform their counterparts. The best way to make the switch is to find a full set of them. They often come with nice cases so that they can stay in great shape and are easy to travel with. Even if you were to set aside the concern about overall health taking a hit from the dangerous ingredients found in non-organic makeup and personal care products, one thing is indisputable. You have to protect your vision. It is downright shocking to realize the hazards involved with some of the ingredients found in eye makeup remover. If you only change one kind of product in your beauty arsenal, let it be anything that comes near your eyes. Eye makeup and eye makeup remover should always be devoid of chemicals and preservatives. The health benefits involved with Vitamin C cannot be overstated. This is true for every system in your body and your skin is no exception. 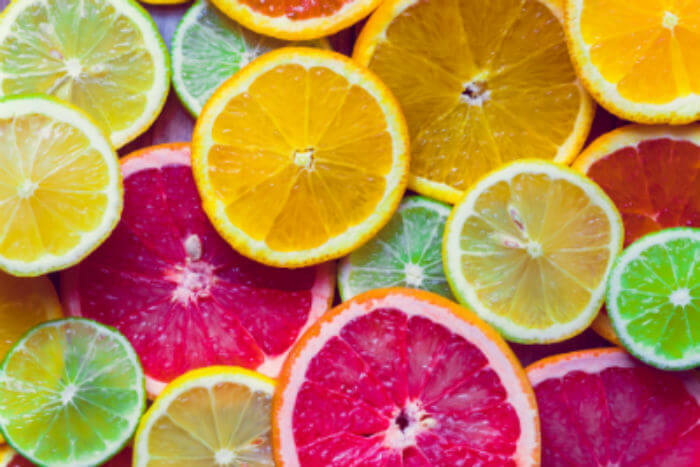 The use of Vitamin C serum is on the rise due to its marvelous ability to tackle the signs of aging. With this is a rise of cheap options, but they are cheap because the Vitamin C comes from inexpensive, synthetic production. Your body simply doesn’t process this the same and it is likely more harmful than good. Look for quality, natural Vitamin C serum made from such things a rose hips and essential oils. SLS stands for Sodium Lauryl Sulfate. Sulfates are used in shampoo and other cleansers to create a nice lather. While SLS does aid in the effectiveness of shampoo, there are any number of natural ingredients that can do the same thing even if they do not lather as much. It is an adjustment to have less lather, but you’ll love the results. The jury may still be out regarding the inherent health dangers regarding SLS but there is increasing concern about the potential for SLS to reduce or eliminate cell healing as well as irreversible cell destruction. Switching to an SLS-free shampoo certainly can’t hurt and may protect you and your family more than is currently known. One of the key things to think about when you are making the switch to natural, organic makeup and skin care products is that you should expect certain differences. Some of these may seem odd to you at first, such as having less lather with shampoos. You may also need to change your techniques just a bit with foundation and other makeup products. In some ways it is similar to when you were first learning how to apply makeup. The health benefits far outweigh the temporary adjustment period you may experience. When you read over organic makeup reviews for products you will often find the low ratings reflect those that compare the products to their old ones in terms of application. Different is not a bad thing so don’t fall into that trap. With a little patience, you’ll be applying your makeup easily. It can help to watch videos such as the one from Lisa Eldridge in which she discusses some of the differences and how to apply various products. Another thing to recognize is that in most cases the best natural organic makeup is going to cost a bit more. Actually, if it doesn’t that might be a good reason to suspect it is not the quality you are looking for. Not only does it take more research time and money to develop new formulas that do not use the harmful ingredients, those ingredients can be more difficult to obtain. However, you want to choose the best makeup for your skin and spending a little more money is worth protecting your health. If you can't afford to change all of your makeup products at once, start with the ones you use the most. Do you wear lipstick everyday? Or maybe you don't leave the house without mascara on. You could even make the switch to more healthy makeup whenever you run out of your old products. However you decide to make the leap to makeup with no chemicals, know that you're making the right choice for your skin and your health! One last tip regarding top rated organic makeup is to remember that to be truly safe they do not contain the chemical preservatives that other products do. This means that you may have to replace them before they are used up if you do not wear makeup regularly. These are not products you should stick in a drawer and pull out only for those special occasions. While you should definitely still use them instead of the ones loaded with nasty preservatives, be cognizant that you will need to replace them before they are used up. This may not be necessary with those that have incorporated herbal products that lend themselves to preservation or have developed air-free packaging that protects the product. The Josie Maran brand is a relative newcomer to the cosmetic stage having been launched in June of 2007. That doesn’t stop them from achieving greatness, however. In keeping with their motto, “luxury with conscience” they take great care to include only fair trade argan oil that has been provided by co-ops of Moroccan women. You may recognize the name Josie Maran from some of her other endeavors including modeling for Maybelline and an appearance on Dancing With the Stars. She began the cosmetics line when she was pregnant with her first child. 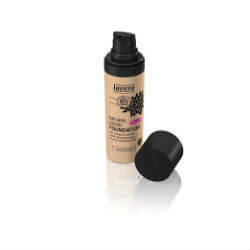 One of her most popular products is Argan Matchmaker Serum Foundation with innovative color-match technology. 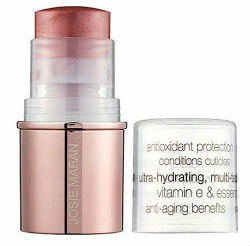 You can trust Josie Maran products to be a chemical-free, eco-friendly, and fair trade. It used to be that makeup was only designed for the purpose of looking more beautiful, but that changed in 1994 when Jane Iredale founded Iredale Mineral Cosmetics. She felt that makeup should not only be aesthetic but also beneficial to your skin. 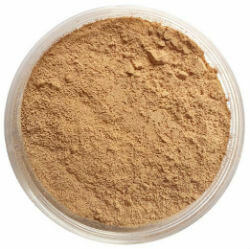 To that end, she developed a mineral powder that covers all bases – foundation, powder, concealer and sunscreen. It is also important to her that all products are hypoallergenic and dermatologist tested. 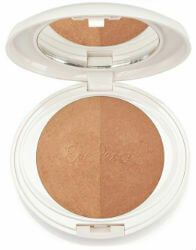 A popular favorite is her PurePressed Blush compact and the ability to refill them. The minerals and antioxidants, along with absence of chemical dyes, makes this a wonderful product to use. 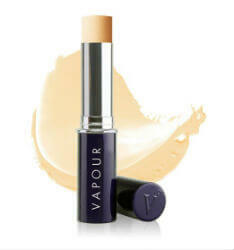 Vapour Organic Beauty is another newer company having been conceived in the late summer of 2008. What makes it special is its two founders, Krysia Boinis and Kristine Keheley who each brought something wonderful to the table. Krysia has an extensive background in healing botanicals and alchemical blending. Kristine’s passion and experience lies in color. Together they create high-performance formulas that are exceptionally pure and organic that meet their “Lit From Within Glow” mission statement. One of their most popular products is Atmosphere Soft Focus Foundation which is infused with Frankincense, Tulsi, and Lotus to provide protection, soothing, and calming in a breathable liquid formula. Learning about Physician’s Formula is like watching a love story on television. Its inception in 1937 came about out of pure love. Dr. Frank Crandall loved his wife so deeply that he developed an entire cosmetics line to address her sensitive skin. What ends up being the happily-ever-after is that here we are nearly 80 years later and women of all skin types are able to bask in the glow of innovative products that never include fragrance, PABA, or any of 100+ known skin irritants. They are all hypoallergenic, paraben-free, gluten free, and dermatologist approved. One very popular product is their Organic Wear 100% Natural Origin Mascara. In addition to being 100% free of chemicals, it is delightfully clump-free, smudge-free, and flake-free for a result that lasts throughout your long day. It even has a 100% recyclable eco-brush that provides 5x lash boosting. There is something very interesting to note about this unique company. It isn’t run like most corporations that answer to shareholders and thus must often put profits above what is right. It would be difficult to name one popular product as there are so many, but one winner is their Rose Day Cream. This product deeply hydrates, protects, and soothes your skin. By carefully balancing moisture and oil content, you’ll notice your skin rejuvenate. Thirty roses go into each tube giving it their healing powers and a light rose scent. Ere Perez founded her line of natural cosmetics thanks to a number of things that influenced her. She grew up in Mexico in a family that employed natural remedies so had an appreciation for that. Later she moved to Australian where they have a passion for natural products. Add to that a passion for makeup and a desire to help women enjoy makeup while respecting health, animals, and the environment. All products use oils, plant extracts, and minerals to provide both effectiveness and quality. They never test products on animals, use child labor, and even offer vegan products. A popular product is her Organic Almond Oil Mascara. It is smudge-proof, water-resistant, and made with high quality ingredients. There are no harsh chemicals such as parabens, phthalates, propylene glycol, paraffin, lead, or nanoparticles used in its manufacture. Customers love the staying power, reduced under eye smudging, and that it is non-irritating even to sensitive eyes. It is RMS Beauty’s philosophy that all makeup should be skin care and that the pursuit of beauty should never be paid for by sacrificing your health. They always report all ingredients used, tell you why certain ones are used, and the benefits you can expect. The force behind RMS Beauty is Rose-Marie Swift. She has been a makeup artist for over 35 years and began having some health issues. She found out that cosmetics could be a contributing factor because of toxic levels of heavy metals that had accumulated in her body. This led her on the mission to save other women from the long years she needed to rebuild her own health. 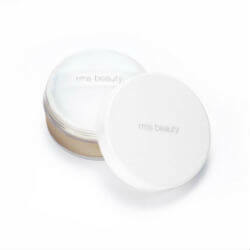 One of RMS Beauty’s most popular products is Living Luminizer. 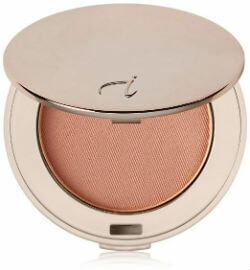 It is a great product for creating a sensuous, sheer, luminous glow. It is no surprise that many other countries recognized the importance of certified natural skincare before it caught on in the United States. Living Nature is a New Zealand company founded in 1987 by Suzanne Hall that is being well-received here, not to mention more than a dozen others. Not only do they excel at using natural ingredients, they are fortunate to have a treasure-trove of unique and native plants from which to choose. 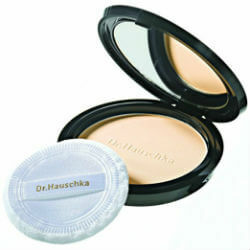 All products are 100% natural and certified as such by BDIH Germany. One of their most popular products is their Certified Natural Lipstick. It provides long lasting moisture in a variety of shades. For over 25 years, this company has been producing all natural skincare and cosmetics based on German quality standards. They use herbal ingredients, certified organic whenever possible, in the formulation of over 300 products. Not only can you get plenty of cosmetics but also skincare, tanning, hair, bath, men’s products, and even those made especially for infants. Sounds like a great way to get your child off on the right foot by using their lotion, shampoo and protective cream on your newborn. A popular product is their Volume Mascara which contains organic Jojoba oil and wild rose to hydrate while you enjoy no clumping, smudging or flaking. You will love that it is also vegan just many of their products are. 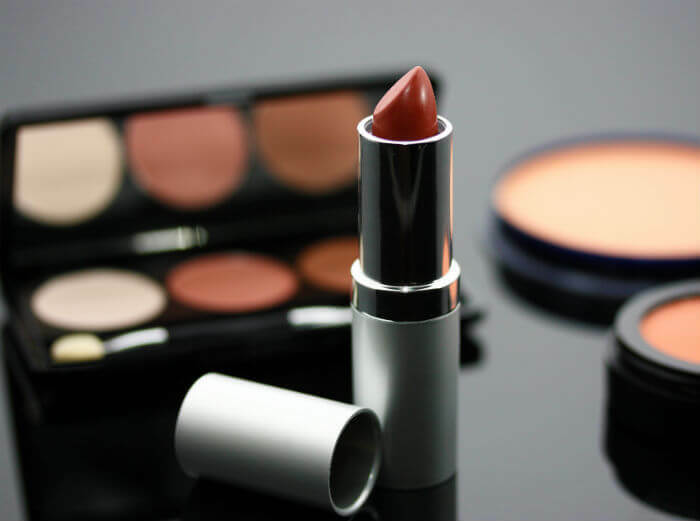 If you are looking for the best organic makeup line that is natural, organic, vegan, and gluten-free, you will be happy to learn about Shimarz. They have everything you need including eye shadow, blusher, lipstick, brow powder and sculpt wax, and even vegan makeup brushes. Since they were just founded in 2013, they are the newest kids on the block of these organic makeup brands reviews. However, that shouldn’t deter you in the least as they do have the best natural organic makeup devoid of all the harmful ingredients you want to avoid. For example, you will love their Eyeliner Pencil. It smoothly glides like liquid liners to give the dramatic effect you desire that lasts all day. Yes! What you put on your body is just as important as what you put in your body. Toxic chemicals have no place in your kitchen or in your makeup bag. 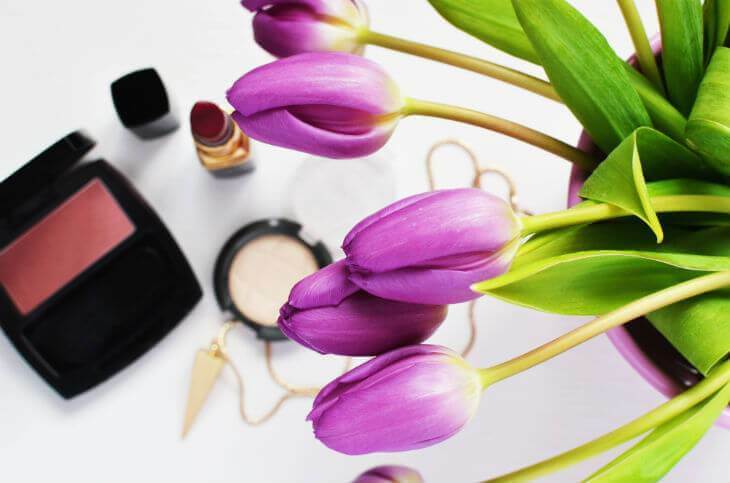 In many ways, switching to top organic makeup brands is like switching to organic produce. You know it is totally worth it even though it is a bit of an adjustment (to your pocketbook!). As with produce, you should always know where you are getting your makeup and other products from to be sure you are getting what you are paying for. Hopefully these organic makeup reviews will help you steer clear of the imposters. It is a wonderful thing to preserve your health, take care of the planet, and still able to accentuate your natural beauty. It is scary to think that the typical person is exposed to over 100 chemicals each day, many of which are done on purpose yet without knowledge of the dangers. We could sit back and hope the FDA is taking care of us, but when you consider that only 10 personal product ingredients have been banned here, whereas the European Union has banned over 1,000, one has to wonder. Will you drop dead tomorrow because of a chemical-laden mascara or foundation? Not likely, but taking a precautionary stance to avoid potential long-term effects appears wise. After all, it is hard to look good when seriously ill regardless of what makeup you use.